Looking for a tasteful way to show off your collection of iconic postmodern teapots or architect-designed shoes? 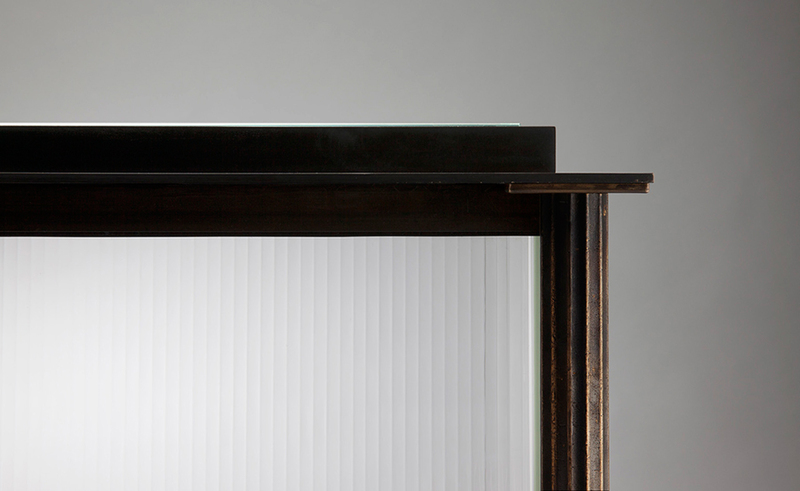 David Chipperfield may have the answer. 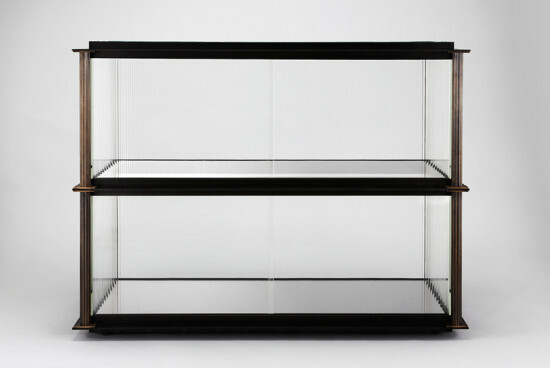 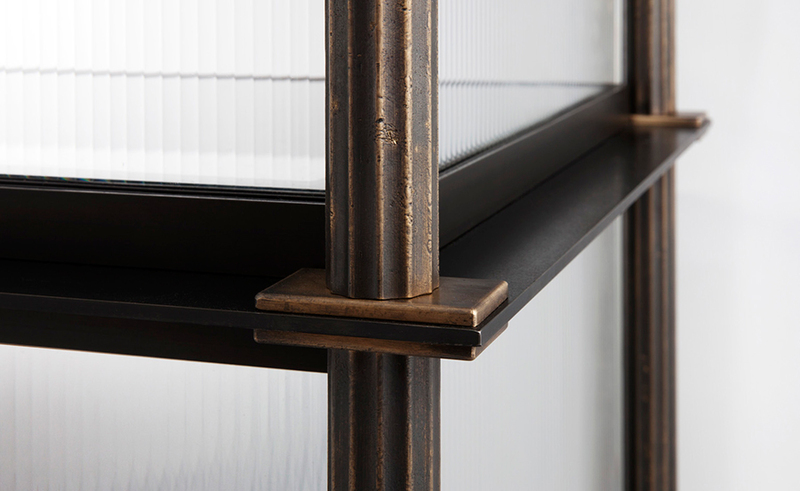 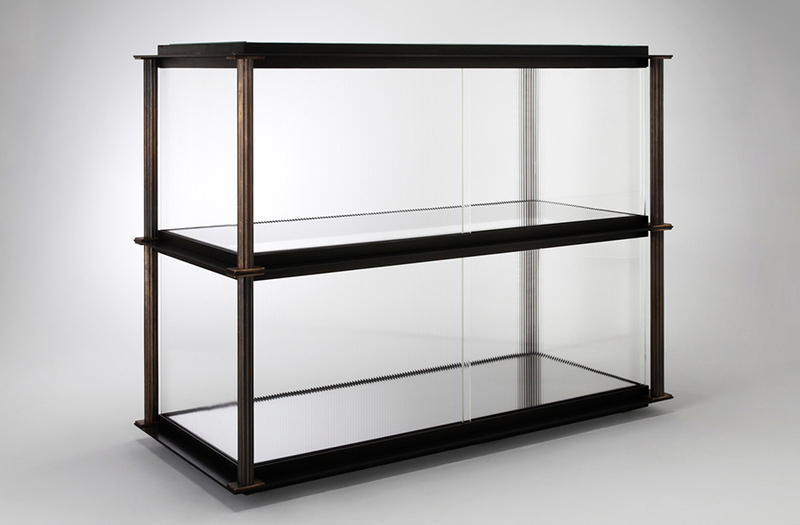 Debuting during the London Design Festival, the “Ionic” display cases find the architect comfortably ordering classical bronze columns and ribbed glass panels. The cabinets have been developed for the David Gill Gallery.